El Caminito now has their Mexican food menu online on the restaurant website. It is now updated with our latest entrée choices and current pricing. You can browse all of our menus before you stop in to dine or call for a pick up order. 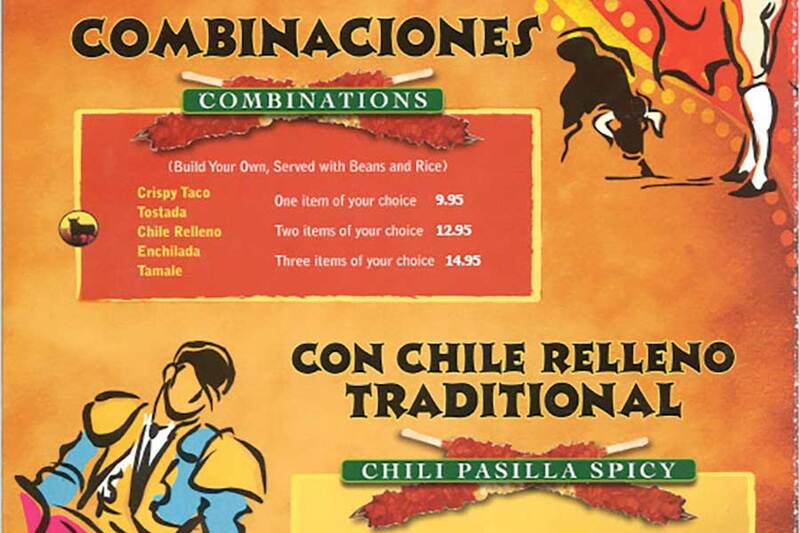 You can find our Mexican food menus here on our website. You’ll see all the different entrées, some of the old standards that everyone loves in authentic Mexican food, and some of our specialties that are made with our own family recipes from Mexico. We do a lot of corporate catering at El Caminito Mexican Restaurant. And we have a menu just for catered meals. Delivery and set-up are available for all the items you’ll see on our catering menu. If you need food for less than 25 people, please use our regular menu and call in your order for pick-up. Or, you can use UberEats for delivery. El Caminito Mexican Restaurant is known for its fans. Some say in their reviews that they wouldn’t eat anywhere else. One thing they love in particular is the personal attention the owner, Julian, pays to his guests. He can be seen milling around in the dining room every night chatting with customers and suggesting special dishes made just for them. The location of the restaurant is in Sunnyvale, CA, just off El Camino Real. Reservations are not required, you can just walk in whenever you’re hungry for some authentic Mexican food. There is a full bar and we specialize in tequila. Use our links above to our Mexican food menus and order by phone, online using UberEats or just stop in to order and dine. And remember to give us a call for lunch or dinner for your next business meeting in the office.